The first pictures of Brie Larson filming as Captain Marvel made waves, not just because they gave us our first look at the character in live action, but because her famous costume came in some surprising colours. But now the new movie suit has officially made its way to Marvel Comics' canon. 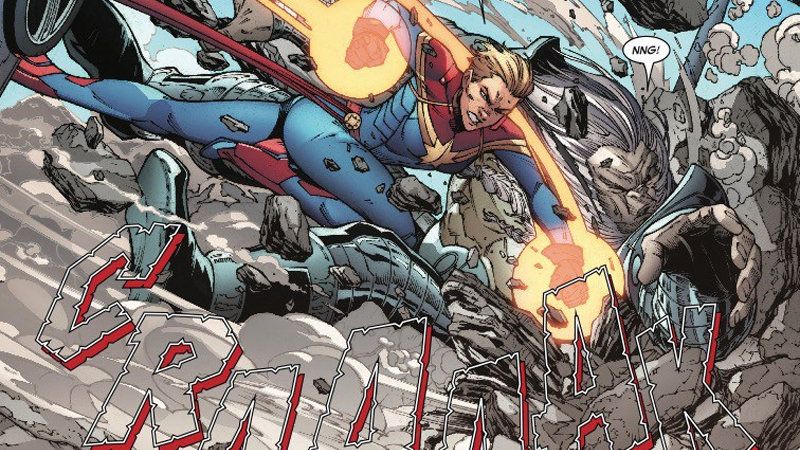 Carol Danvers lays the smack down in Infinity Countdown: Captain Marvel. 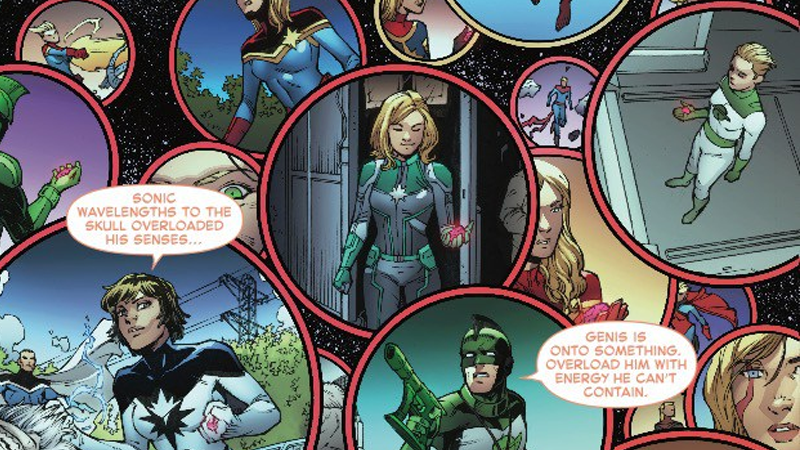 Today Marvel released a preview for next week's Infinity Countdown: Captain Marvel, a one-shot tie in to the company's ongoing build up to its big, Infinity-Stone-focused summer event (gee, wonder why it's doing one of those...). In the lead up to the event, the stones have made their presence known in the Marvel Universe once again, in the hands of various different Marvel Heroes and villains — and Carol has the Reality Stone, which grants her the unfathomable power of being to communicate with the parallel, co-existing realities of the Marvel Multiverse. Or rather, specifically, with the Captains Marvel of the Multiverse, who also all hold their respective reality's Reality Stone. 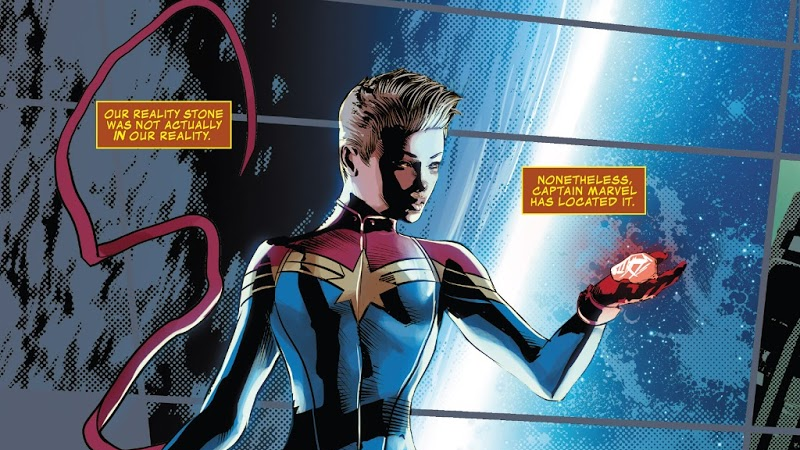 Carol holding the Reality Stone in the pages of Infinity Countdown Prime. So many Marvels, so little time. It feels like we've been waiting so long for this Captain Marvel movie to finally happen, and what do you know, Brie Larson is already in comics canon before she's even appeared for a second on screen! 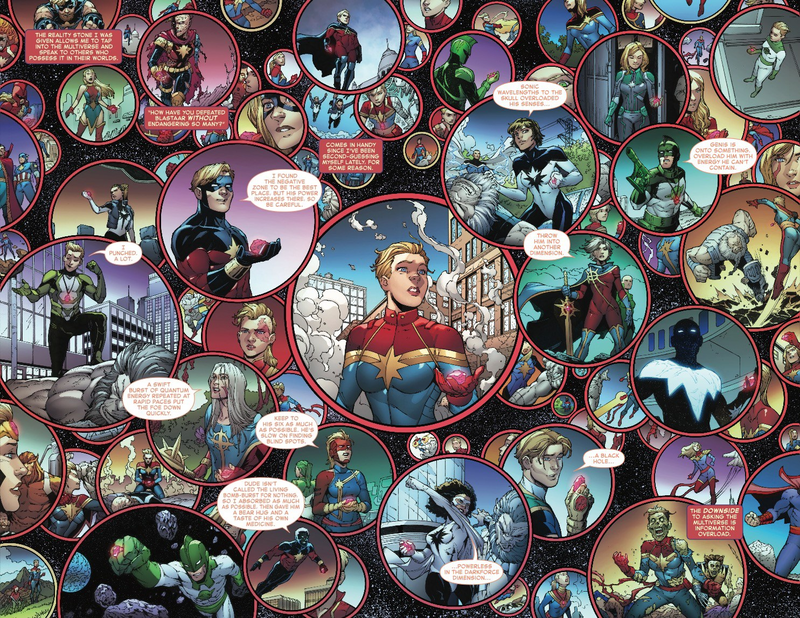 Infinity Countdown: Captain Marvel hits shelves next week — head on over to the link below to see the full preview. It's not exactly sneaky. The MCU already exists in Marvel's comics universe as one of many alternate realities. Yep, as officially revealed in the Official Handbook of the Marvel Universe A-Z #5 Hardcover Edition.